It took roughly a month, precisely 4weeks, for me to knit this raglan sweater. You might say it isn't that bad for a piece of hand-knitted sweater with one's spare time... but I was so tired of it in the end, as it didn't seem to me that this warm sweater would be in time for this winter. Sewing is fast. Much faster than knitting, to me. I always lose my presence of mind when knitting, because I never remember that it needs a fair amount of time to fulfill a good knitting project!! I like knitting, but I don't like me knitting. Having annoyingly shouted that, I calmly declare here that this tunic-length sweater is all finished at last and in time for this winter. In Japan, days are getting longer day by day, we feel the daylight is changing and already suggesting the next season, and I know blooming season is only a mountain away, though, I'll probably have several days that suit this sweater. I sincerely hope so. 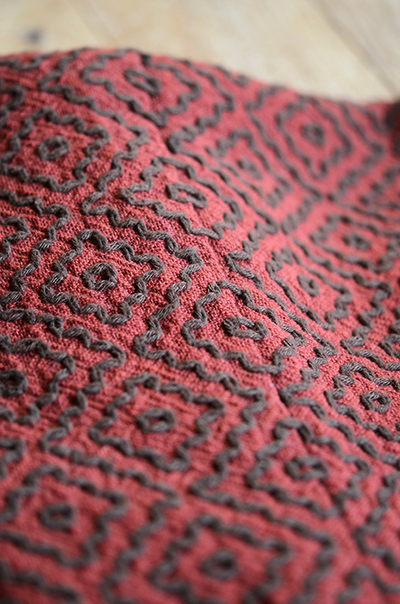 Please have a look at my project page for this sweater for more info, if you are one of the Ravelers. 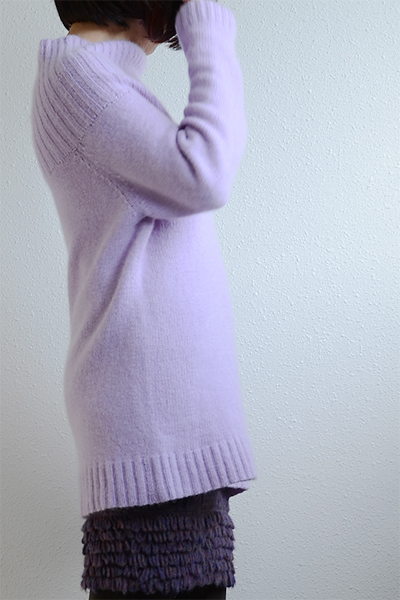 I chose my old hand-knitted skirt for the new sweater in today's photographs. Although the skirt is shockingly five years old and looks a bit worn now, it is still in my favor because of all those funny fringes. I'm not frequently asked if I have made my outfit by anyone but you (I don't start conversations with no-sew-people saying "I made this" either, because I'm pretty embarrassed to say "Hello, by the way, I made this! And this, this, this and this!!" (pretty everything for them)), but people have asked if I made this skirt quite frequently. People always notice those strange fringes and wonder why I have them in my hem. I love/choose/make clothes that are subtly funny, but this skirt failed to be subtle, I guess. 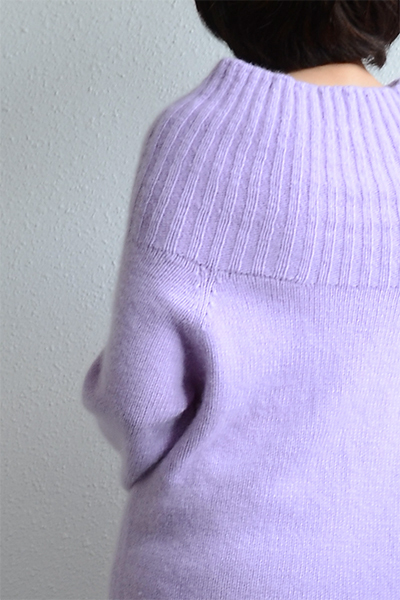 I love this sweater too, because it has a funny neckline with abnormally long ribbing reaching almost to the wearer's armpits. I insist that no one (but you) notice it does and hey, it is subtle. I'm starting some muslins for a new skirt. My friend Carolyn visited Japan on holiday and she kindly brought a beautiful cotton fabric for me all the way from Australia. I want to make a lovely skirt out of it, right. now. So impatiently. What are you working on now? Have a lovely day, my sewing friends!! I wish your 2014 will be a very happy, contented, brilliant, and peaceful year. I just came back from our one-week winter holiday and now I'm full of energy and feel like starting something nice and new. The thing is, I have no clue of what I'd start, yet. Haha I think I'll see (if I find anything to start) by the end of 2014! I hope you had a refreshing break during this time of the year too! We spent our break in Kyushu, which is one of the southwesterly islands of Japan, to stay with my parents. 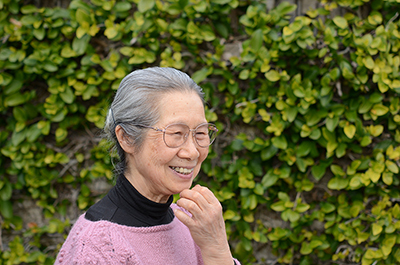 My mother, who is kind and very gentle-natured, has been working on "sashiko" embroidery for years and she asked me if I could take some photographs of her sashiko makes during my stay. Of course I willingly became a photographer for her and for her makes! 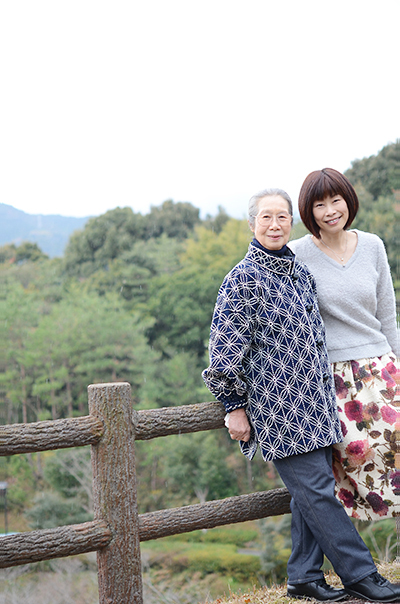 We had our photo session in a lovely small park nearby their house for her sashiko jackets. I'd share some of them here, because I remember that some of you were kindly interested in her sashiko and asked me if I could show the embroidery in better pictures on my old post. I hope you enjoy them. I'm happy if you find some inspirations from something probably unfamiliar and new to you too! my mum, petite and clever, in love with sashiko. *small photographs can be clicked to enlarge. Most of the embroidered parts are done after cutting yet before sewing. What is amazing to me is, the embroideries that are overpassing seams are done after sewing to keep the continuous patterns beautifully. 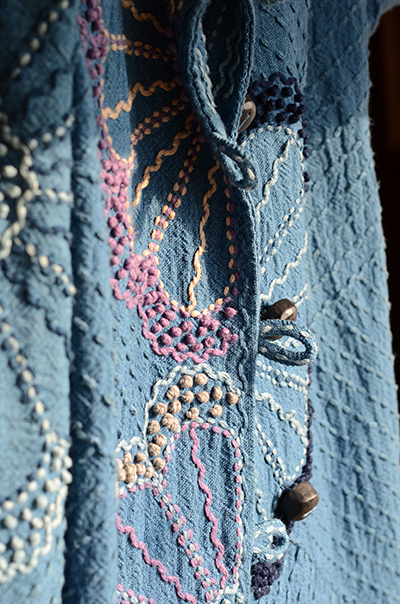 My mum uses traditional coarse cotton fabrics and very thick threads. Those traditional plain fabrics are usually hand-woven and natural dyed (not by my mum though) and have charming charactor in itself even before sashiko applied. The garments as well as sashiko patterns are usually self drafted by her, and all seams are also sewn by hands. 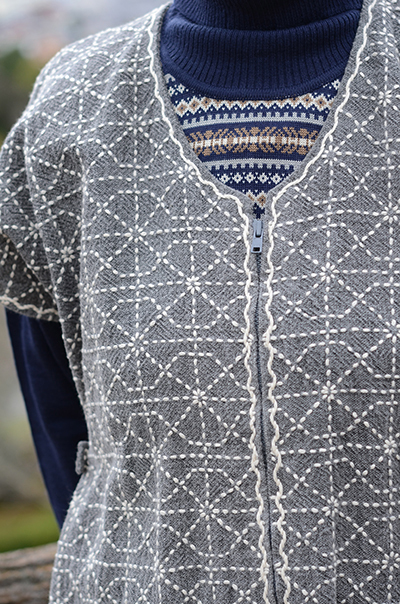 According to her, one sashiko garment can be finished quite quickly because all procedure is very simple, but she thinks a year for this kind of jacket from planning to finishing because it makes the stitches even and look more elaborated.